These beautiful unwired roses come in a whole host of colours, and can be made in any colour you wis.. These handmade sugar hydrangea bunches are a perfect finishing touch to any celebration cake, or use.. 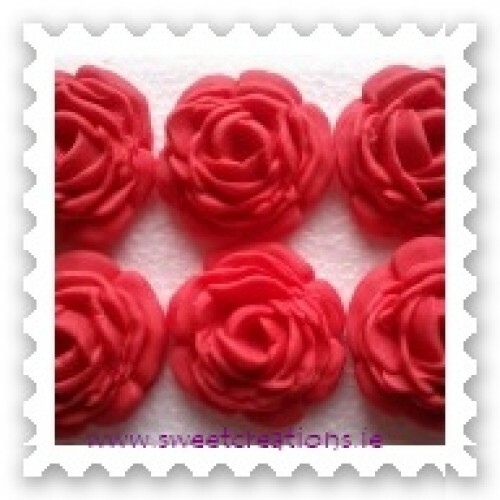 Handmade sugar moulded edible roses. Available in a range of colours. Pack of 6 for €3.30. Resin Cake Topper Football Couple. €25.00 each..
A pack of 6 edible footballs. All handmade and perfect for cupcakes or any celebration cake. €3.35 p..